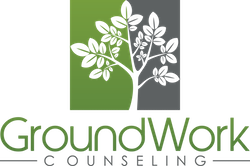 GroundWork Counseling is a boutique private practice counseling center dedicated to providing the highest quality of care and personalized attention to our clients. At GroundWork Counseling, we provide specialized counseling services to individuals, couples, teens, and children who are in need of guidance through emotionally difficult family, personal, or professional challenges. We are a team of supportive, collaborative and solution-focused therapists and because we feel strongly that counseling shouldn’t be “one size fits all”, we strive to create a specialized experience for our clients. Our counselors exclusively and intentionally work with a small population of clientele so that we can provide the best emotional wellness services possible. Our team of therapists specialize in Cognitive Behavioral Therapy (CBT), a highly focused, short-term type of therapy that has been proven to be the treatment of choice for many types of challenges. Research has repeatedly found that CBT is the most effective type of treatment for anxiety, dissatisfaction with life, depression as well as many other emotional problems. Unlike most other types of therapy that typically focus on early childhood experiences and past traumas, CBT is focused on the present and is very goal-oriented and active. CBT utilizes self-help skills such as homework assignments to dynamically change thoughts, feelings and behaviors. Because treatment is so active and focused, improvement typically takes place much sooner than in other talk therapies and as a result, CBT helps to end treatment sooner and teaches you to become your own best resource to solve problems. Research on the effectiveness of CBT has been overwhelming, making CBT the treatment of choice. Chances are you may have previously received counseling, with little to no relief of your presenting symptoms. Allow our team of trained Cognitive Behavioral Therapists help you alleviate distress, and provide you with the tools to move forward, often without the need for medication.